Spoiler: You want video? Skip to the end! 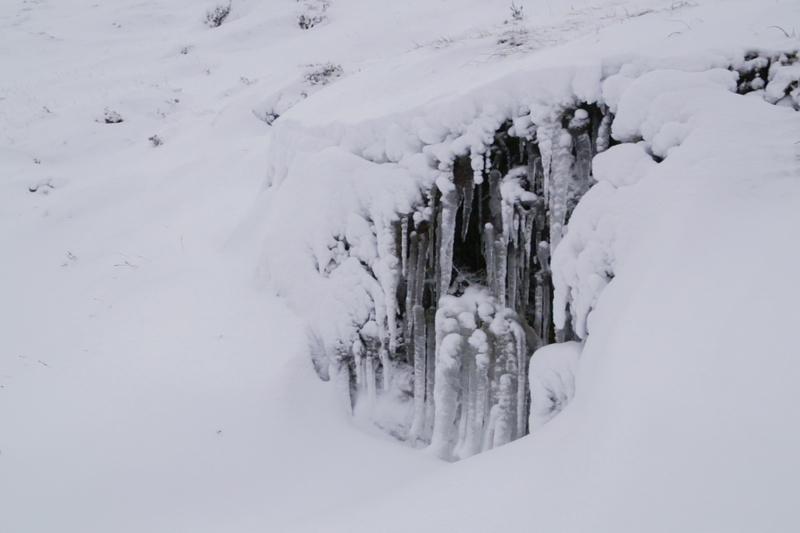 The cold has never hugely bothered me. 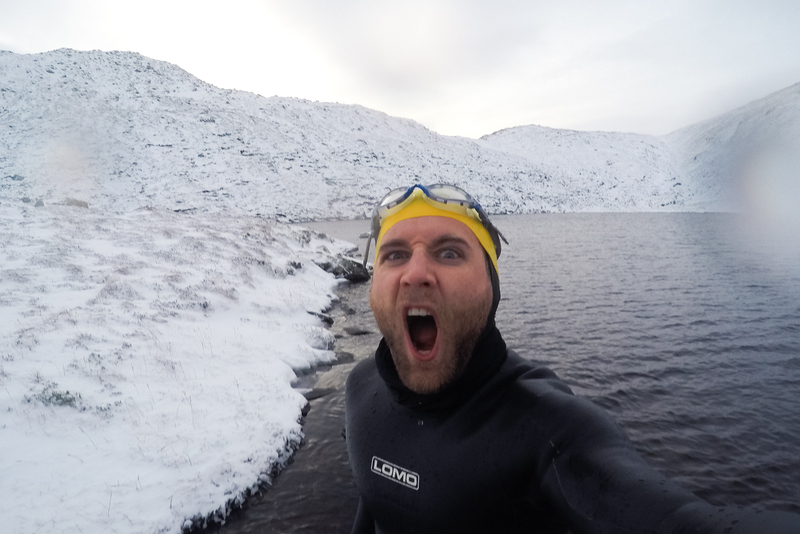 I don’t have a huge amount of bodyfat for swimming, I don’t have a great capacity for long swims in water but I did grow up in Scotland, often in the hills, and I got used to it. I remember swimming in Loch Ness on New Year’s Day once in my trunks, to prove a point. What point? Who knows. 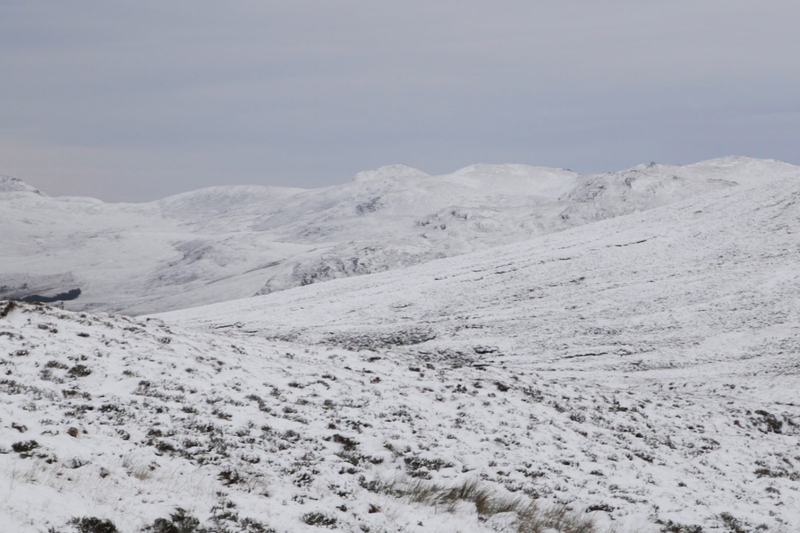 When snow arrived on the hills, I pulled out the map. A coire lochan is what I wanted. 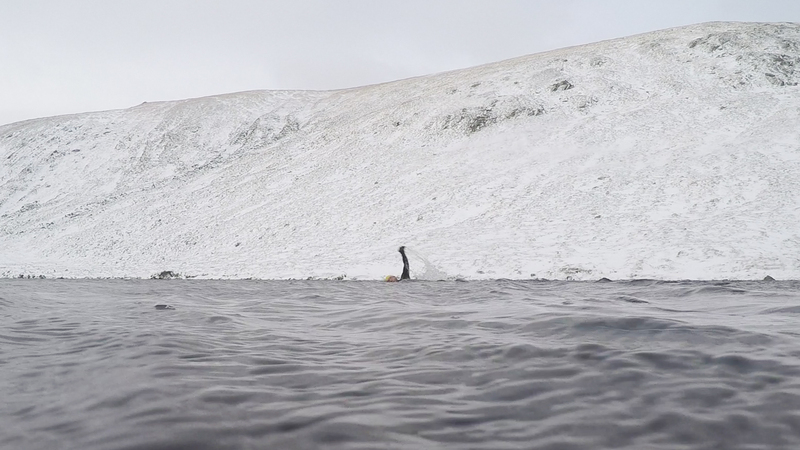 A hike up a hill, a dip in a loch, surrounded by mountains. 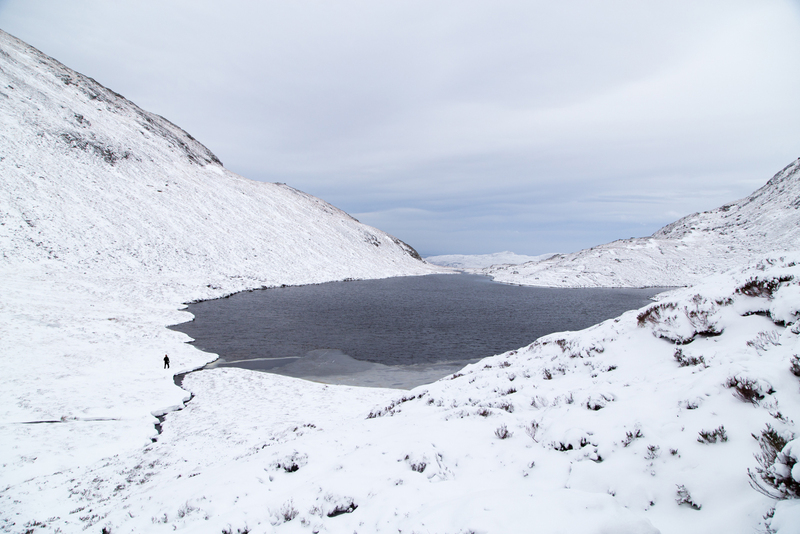 Loch Coire a Mhuilinn. The walk in was worth it. From the Strathconon walkers carpark. 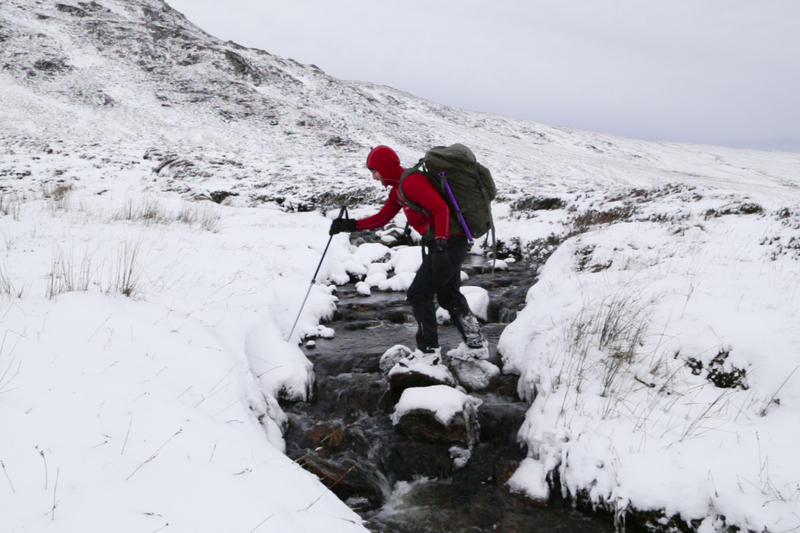 Up by the burn, along and into the coire. 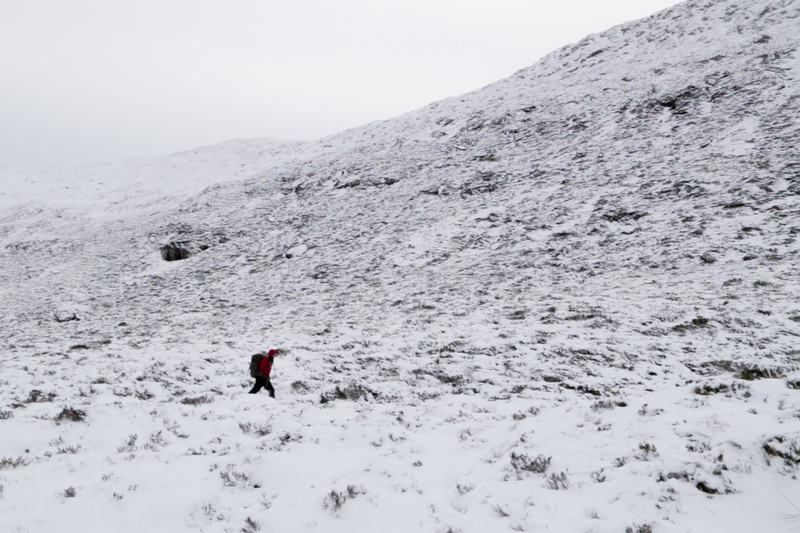 Through snow that was often knee-deep, thigh-deep in places. Across a trickling burn, cursing the heather which caused many a mis-step. A beautiful location, a memorable swim. The water was frigid, cold, sore. 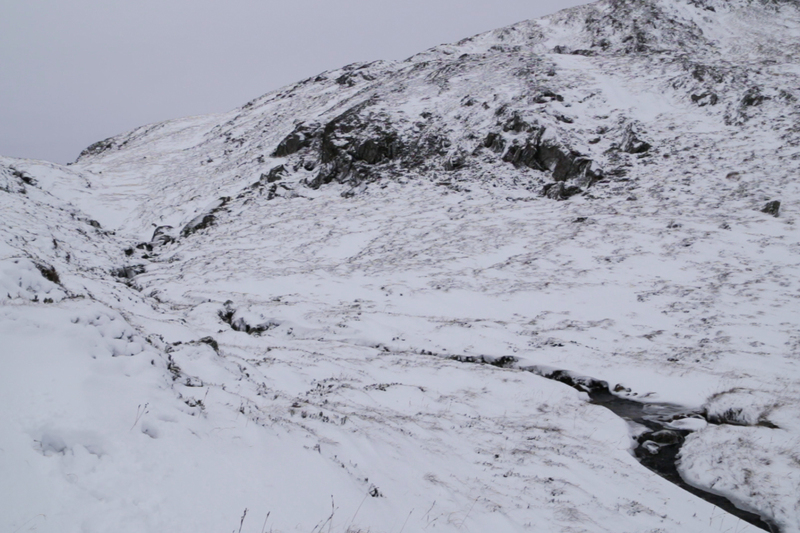 The loch, frozen at the northern end was also surprisingly shallow. What I estimated to be the middle was barely my height. I didn’t dive under. After several minutes, I was done. Not a training swim, but not an immersion dip. As always, my mood was flying. Buzzing.